Thinking about attending a race or two at Santa Anita Park this season? Forgo navigating the gigantic parking lot and Go Metro. You can take the Gold Line to Arcadia Station and walk — Santa Anita Park is about a one-mile walk from the station — or take the free shuttle. 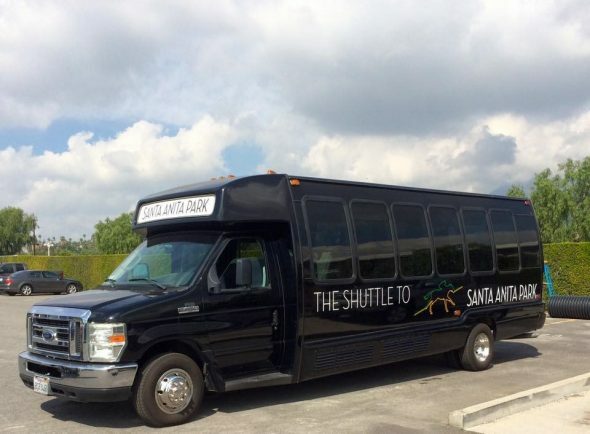 The Santa Anita Shuttle will offer pickup and drop off service every 20 minutes from 10:30 a.m. to 6:30 p.m. each racing day. The free shuttle that Santa Anita Park runs between the track and the Gold Line’s Arcadia Station. If you go Metro you’ll also be able to take advantage of a special discount at Santa Anita Park. Show your TAP card to Santa Anita’s team member at the Main Thoroughbreds Club Center and receive one Club House admission pass for a future race date. Another transit option is the Arcadia Green Line bus shuttle that runs between the Arcadia Station and the track. Fare is 50 cents each way and rides are free for seniors 62 and up, kids four and under and those with disabilities. More info here. After the P.E. stopped providing Specials to Santa Anita bus service was provided thru the years via the P.E. MCL, old MTA and the RTD. 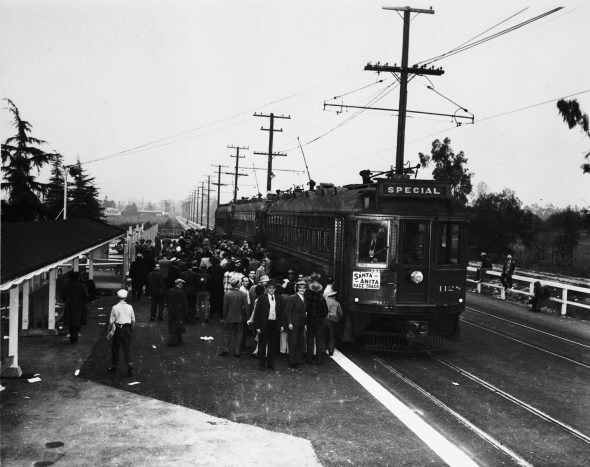 It wasn’t until the current MTA was created that Special Service to both Santa Anita and Hollywood Park were discontinued although they were very busy requiring twenty or more buses each day. Kinda nice having those specials like in almost every big & major important such as nyc..
Amazing video! It’s so fun to watch and really creative. Metro is always the best way to go!